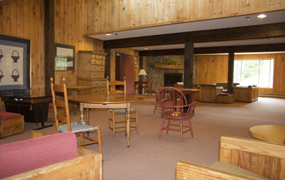 Set in the heart of Waterville Valley and the White Mountain National Forest, the Snowy Owl offers a number of nice touches, such as a towering fieldstone fireplace in the lobby, a handsome octagonal indoor pool, and a rooftop observatory reached via spiral staircase. All rooms are tastefully decorated with air conditioning, dataports, voicemail, cable TV and private baths, students in quad occupancy and staff in twin occupancy. 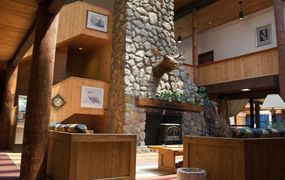 The Hotel is ideal for groups: There are seven individual lobby areas, 6 with gas fireplaces to get-together after a day on the slopes. Adjacent to village centre, the Snowy Owl is in easy walking distance to shops and restaurants Facilities: Indoor pool; outdoor pool; whirlpools; saunas; access to Jacuzzi.